Senator Omar Hassan surrendered the Mombasa Gubernatorial race to Hassan Joho. - Bana Kenya News, Real African Network Tubanane. Home featured Mombasa Senator Omar Hassan surrendered the Mombasa Gubernatorial race to Hassan Joho. 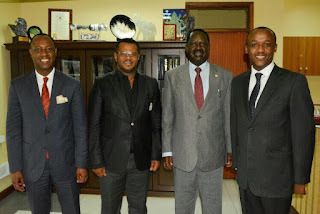 Senator Omar Hassan surrendered the Mombasa Gubernatorial race to Hassan Joho. The Mombasa Senator and Wiper Secretary-general has declared to contest back to his seat as a senator. It has been seen that anyone who disagrees with the Mombasa incumbent Governor Hassan Joho will fall in the August Elections. It is revealed that all the leaders who accompany the Governor will get back their seats. The Wiper SG Omar Hassan Sarai has surrendered the Gubernatorial race as the Nyali Constituency Hezron Awiti left Mombasa to contest in his home area in Nyanza. According to our sources, the senator reached that conclusion following a through exclusive meeting with ODM leader Raila Odinga, Johnstone Muthama, James Orengo, Mutula Kilonzo Junior and Omar Hassan at the Orange house. The Mombasa incumbents will get back their seats if they cover their differences. " Mombasa is not a jubilee zone. Whether those guys will choose Suleiman Shaahbal or Anania Mwaboza for the gubernatorial post, they will fail. The have not understood the Mombasa political dynamics" Said Mombasa senator Omar Hassan. The Diani meeting will also talk about who to be in the ballot box in their stronghold in order to avoid votes division in CORD. The Meeting will also analyse the methods they will use to reduce votes division and making sure the Jubilee party has no chance of winning posts in their strongholds.